It was a very rare five-star review from German reviewer Hans-Jürgen Linke that alerted me to this album. Linke is one of those quiet long-term observers of the scene – he was music editor of a daily paper for nearly two decades – and is definitely not one to gush his superlatives without reason and forethought. He explains one of the reasons why he enjoyed this album with a nice image: "Even when the band is moving through musical idioms in a way that is both free-spirited and spacious, all it takes is a short piano phrase, a melodic fragment, a harmonic twist, and there is Abdullah Ibrahim smiling from a distant horizon." 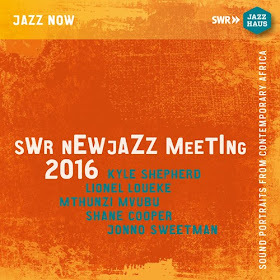 Pianist Kyle Shepherd does indeed have that capacity to draw the listener in again and again with his simplicity and his less-is-more, but there is a lot more to this double-album recorded live in September 2016, not least the context, which is an unusual one. SWR, the German broadcaster has a well-established annual tradition of giving complete carte blanche to a musician to choose and invite the band he or she wants, and then to spend week in their Baden-Baden studio with the new dream-band putting a programme together. The album was recorded at the live concerts which followed that "work-phase", as the Germans call it. 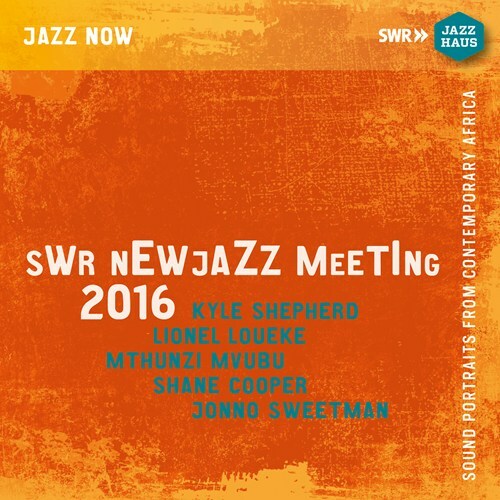 Shepherd had invited his trio colleagues bassist Shane Cooper and drummer Jonno Sweetman, as well as alto saxophonist Mthunzi Mvubu, an in-demand player who has been in both the Marcus Wyatt Blue Note Tribute project and Shabaka Hutchings' Wisdom of the Ancestors band. And then there is a major figure by any standards, a musician of endless possibilities, guitarist and vocalist Lionel Loueke. There is a lovely sequence which featuring Loueke in different guises on the second album He juxtaposes Paul McCartney's Blackbird with an extended improvisation entitled Guri Kamma, in which his guitar sounds like an ngoni, aided and abetted by Shepherd on prepared piano. Linke, in his review, praises Loueke for having risen impressively to the challenge to "find ways with the guitar sound-wise that are completely his own". Loueke also gets opportunities on this album to sing, and the surprise here is not just that he is musical and convincing – he has already demonstrated that on Karibu, for example – but also that he has such variety, and sings like several different characters. He can be deep-voiced and slowly soulful like a watchful and knowing elder (on the track ICU Part 2), but can then switch to being vocally percussive, using clicks and pops in a virtuoso way, while simultaneously playing the vocal line on guitar, and then lifting the voice higher to a weightlessly gentle falsetto (on Tin Min).